FTI Consulting, an independent global business advisory firm, is offering a free tax drop-in surgery in The Magdalen Centre Board Room on Friday 15th September 2017 from 12:00 to 14:00 with lunch provided. 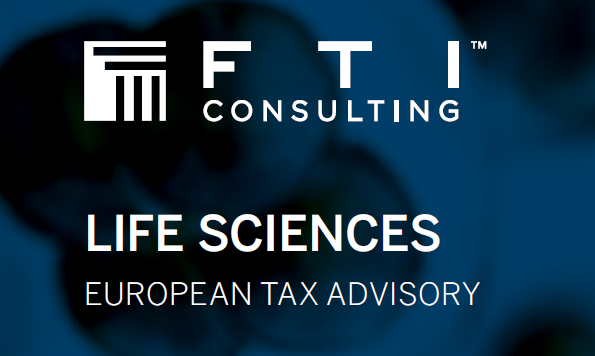 FTI Consulting has in-depth knowledge of the tax challenges that confront companies, particularly in the life sciences, and they already provide tax services to a number of businesses at The Oxford Science Park. They work closely with clients to provide the highest quality tax advice, focused on helping companies to mitigate tax risk and minimise costs, providing a level of service beyond that available from other providers. The surgery will provide you with an opportunity to ask any tax-related questions you have with no obligation. This may include areas such as R&D tax credits, Patent Box, licensing, share incentives or tax efficient fundraising. Core to their approach is a willingness to share insight and knowledge with clients and this is underpinned by N-Site, an expert knowledge platform.FTI Consulting would like to bring this knowledge sharing to The Oxford Science Park through our surgeries. FTI Consulting would like to bring this knowledge sharing to The Oxford Science Park through their surgeries. Oliver Pumfrey, Life Sciences Senior Director by email: oliver.pumfrey@fticonsulting.com or call: 020 3727 1260.